Dr. Taylor has a new blog on Huffington Post! There is a new blog post each week. Please like, share, tweet, email and comment on her posts. Why does brown skin change during pregnancy? A: The hormone levels that increase during pregnancy are responsible for many of the changes in the skin. Is it true pregnant women "glow"? A: Increased blood flow to the skin. 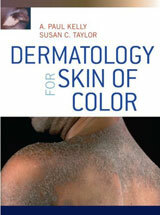 This book is exclusively devoted to the concerns of women of color written by a woman dermatologist of color! The mission of Society Hill Dermatology is to provide excellent dermatologic care for both the adult and pediatric patient. Brownskin.net is an educational site for individuals with skin of color. Whether your ethnicity and skin care needs are related to your Asian skin care, Latina skin care, African American skin care, Black skin care, or Indian skin care, this site is meant for you. Brownskin.net covers topics related to skin care conditions from Acne to Hair Loss to Skin Cancer. 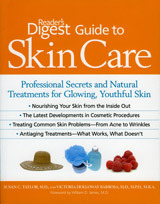 The site contains skin care tips and advice designed to help individuals with skin of color understand their skin type.